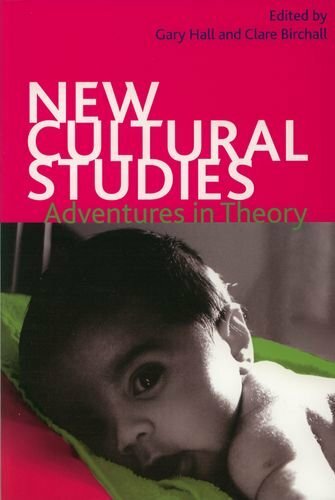 New Cultural Studies is both an introductory reference work and an original study which explores new directions and territories for cultural studies. A new generation has begun to emerge from the shadow of the Birmingham School. It is a generation whose whole education has been shaped by theory, and who frequently turn to it as a means to think through some of the issues and current problems in contemporary culture and cultural studies. In a period when departments which were once hotbeds of “high theory” are returning to more sociological and social science oriented modes of research, and 9/11 and the war in Iraq especially have helped create a sense of “post-theoretical” political urgency which leaves little time for the “elitist,” “Eurocentric,” “textual” concerns of “Theory,” theoretical approaches to the study of culture have, for many of this generation, never seemed so important or so vital. New cultural studies follows such thinkers and theorists, as Agamben, Deleuze, Derrida, Kittler, Laclau, and Zizek as they influence anti-capitalism, ethics, the post-humanities, post-Marxism, and new media technologies.